← Why do athletes still hide the fact, that they’re feeling a little bit dizzy after a hit to the head ? During World War II, my father served in England as a medical officer with the rank of Commander with the Royal Canadian Air Force. His post graduate specialty was in Otolaryngology, involving all manner of perturbations to the Ear, Nose and Throat. He had a lot of patients with head trauma especially with concussions. What did these physicians observe both clinically and experimentally in 1943? You will be surprised to read what they observed, and especially what they thought about concussions sixty years ago. World War II was in full swing with the tempo of human cruelty not yet at its crescendo of unspeakable horror. On each Remembrance Day, we stand at attention for a brief hesitation, remembering sixty years later but still not learning yet how to stop the killing that still continues to this day. 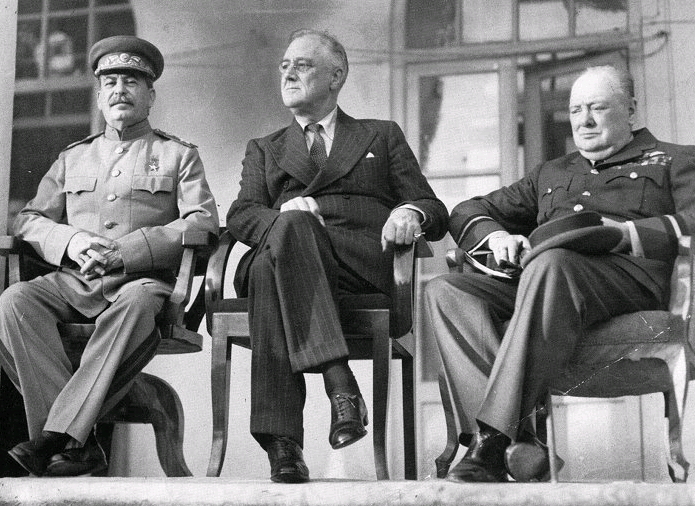 Churchill and Roosevelt meet at the Casablanca Conference. In July Mussolini is deposed and placed under arrest. Cost of a first class stamp is three pennies. The first bomb fell at 10:09 p.m. The attack lasted 24 minutes, leaving the inner city a raging sea of fire. 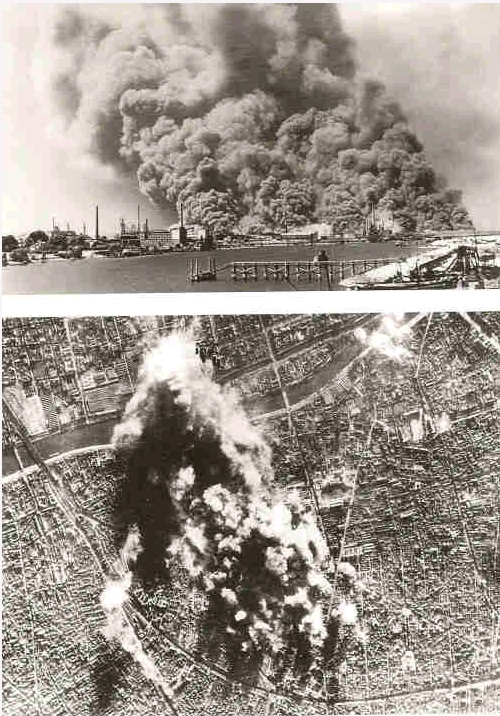 “Precision saturation bombing” had created the desired firestorm. A firestorm is caused when hundreds of smaller fires join in one vast conflagration. Huge masses of air are sucked in to feed the inferno, causing an artificial tornado. Those persons unlucky enough to be caught in the rush of wind are hurled down entire streets into the flames. Those who seek refuge underground often suffocate as oxygen is pulled from the air to feed the blaze, or they perish in a blast of white heat, heat intense enough to melt human flesh. CHANGES IN BRAIN VOLUME AND BLOOD CONTENT AFTER EXPERIMENTAL CONCUSSION by Comdr James C. White, USNR, John R. Brooks, A.B., Joel C Goldwait, S.B., and Raymond D Adams, MD from the surgical research laboratories of the Harvard medical School at the Massachusetts General Hospital, Boston; and the Neuropathology laboratory of the Harvard Medical School’s Department of Neurology at the Boston City Hospital. The report was read before the American Surgical Association, May 13-14, 1943, Cincinnati, Ohio published in the Annals of Surgery October, 1943, Volume 118, Number 4, p 619-633. Somehow the human mind can decide to kill then to listen to music or enjoy a sunset yet the mixed thoughts don’t seem to hold together. We target people, we eliminate we destroy lives cities countries yet we think we are so smart, so advanced. Smarter than the animals our heritage deserves so much better, why are we so weak ? Evolution has been such a saga of building toward elaboration of cells learning to cooperate. When does our species learn to cooperate for the common good? When do we seek love instead of hate ? When do we learn ? So many doctors on the Nazi side did all the wrong things, what happened to their morality? Why did they test to the death human subjects in the concentration camps ? How could doctors even conceive of that abomination, let alone repeatedly perform such experiments ? 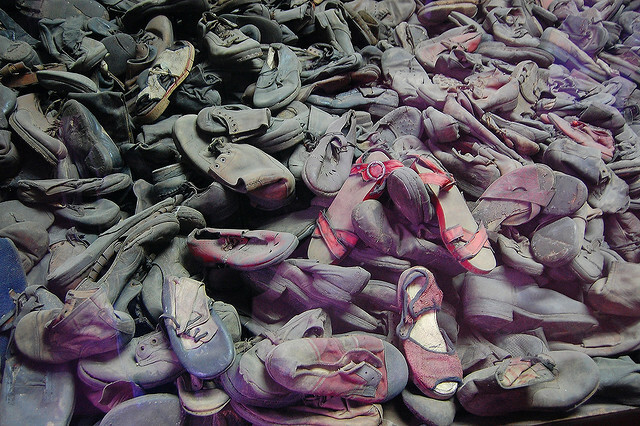 Mountain of shoes that were confiscated from children as they arrived at the Auschwitz Concentration Camp complex in Oswiecim, Poland. The SS sent children aged 16 and under immediately to their deaths in the gas chamber upon arrival at the camp. These shoes were left behind when the camp was liberated by the Soviet Army in 1945. In 1943 the Harvard researchers had the backdrop of the Second World War constantly on their minds yet they still did their work. I think they did extraordinary work for they keenly observed, which is the foundation always for great science. Without the benefit of magnetic resonance scanners these researchers were giving their best to observe the concussion affects within the human brain. It takes great focus to pay attention to what happens step by step as a concussive deceleration progresses. They have left us a roadmap of beacons that somehow has faded in time. Their 1943 legacy shames the modern researcher into thinking they are perhaps better. We have lost their edge- their voices from 1943 can still teach us what to concentrate on. Their words have become a legacy to cherish. We can always stride back in time to learn to listen. Despite our modern gadgets it is with reason, precision and passion that we can watch in wonder at their 1943 skills. I am humbled by their explanations and thoughts. “Dr. Abel J. Hertzberg, a distinguished lawyer from Amsterdam, was one of the Jews in the Star Camp who worked in the “shoe commando.” He had been arrested, along with his wife in 1943 and sent to Westerbork, a transit camp in the Netherlands. The following excerpt from his diary, written on August 29, 1944, is from the special English edition of a book by Eberhard Kolb, entitled “Bergen-Belsen from 1943 – 1945,” which was translated from German into English by Gregory Claeys and Christine Lattek. “As shown by Denny-Brown and Russel, a relatively constant degree of cerebral concussion can be produced by striking the animal a blow over the occiput with a swinging pendulum. The apparatus which was used was designed by Professor Nathaniel H Frank of the Physics Department, Massachusetts Institute of Technology. The striking speed of the pendulum is accelerated by heavy metal disks which are mounted eccentrically on an axle suspended on ball bearings. To obtain a slightly greater speed at impact a spiral spring was attached to one of the disks. The striking speed of the pendulum, when released from various angles, was calculated by the number of vibrations of a tuning fork recorded on a 12-inch length of smoked paper. After the induction of pentobarbitol sodium anesthesia the animal was placed on its side in the impact position for the standard swinging blow onto the occiput. 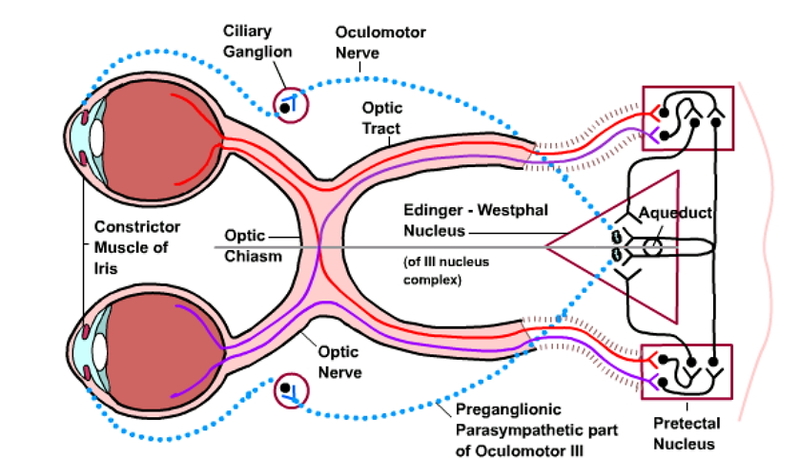 Pulse, respiration, size of pupil (in millimeters) light and corneal reflexes, and the knee jerk were recorded all the while the animal was observed until these observations remained constant. The pendulum was then released. 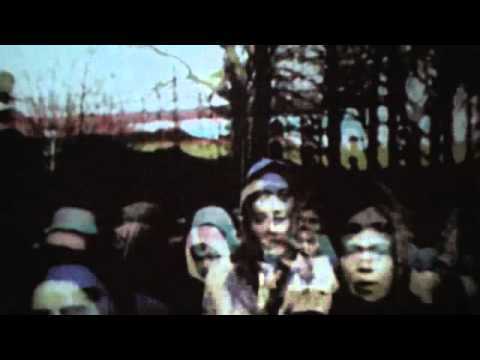 So why am I writing all these parallel excursions involving horror from WW II ? I am comparing two groups about the context of loss of value for human life. German doctors who swore on the Hippocratic oath were suddenly capable of using human beings toward experimenting on them in 1943. Yet at the same time American researchers were trying to improve knowledge to the benefit of all people. One group studied on animals one group became the animal, one group lost their humanity. Is humanity that fragile a concept, is it so unworthy of defending at all cost ? Are we that vulnerable ? But what is spectacular about this 1943 concussion study is the sequence that was observed. In 2012 we talk of axonal strain which is referred to as diffuse axonal injury. What is specific to understanding concussions is what these researchers have observed just close to sixty years ago. They are talking about vision changes which as I have been pressing in my essays is the most ancient sensing system in evolution. They are talking about light sensitivity without the advantages of the cat being able to tell them, by talking what they are experiencing after the striking blow. They did not measure their animals balance capacity after the experiments which is something they didn’t appreciate back then. Listen to their observations again: “There was only slight dilation of the pupils, and the corneal and light reflexes recovered in 60 seconds.” What did NHL hockey player Guillaume Latendresse talk about following his concussion ? He talked about avoiding bright lights, he couldn’t read or watch television, he wanted to stay in a quiet, dark room. Guillaume Latendresse was talking about his eyes sensing after his concussion. Maybe if one of those 1943 Harvard cats if the cat could talk would say similar light based complaints since that is exactly what the experimenters observed. That is the choice we all have to act: to choose good or evil, it is a singular individual choice. It is not an imposed duty none of that falseness, we have the power of choice. That choice is the legacy of heritage, just like our genes we pass on the link- it’s not a necessary condition, it is a person’s pivoting point, some choose right others choose wrong. Our species will only survive if we choose right from wrong. We have to know the difference if we don’t we are doomed.